This strong and durable iron skeleton key is designed to work as a master key for interior mortise and rim locks. Featuring a plain flat bit, it may work on about 30% of old locks. As operability can only be determined by testing, we recommend purchasing a variety of keys at one time. 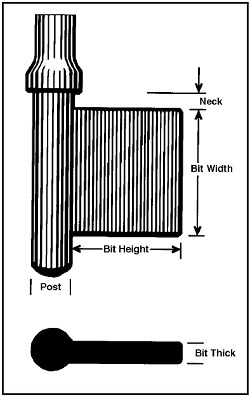 Bit: 5/16" W x 3/8" H.